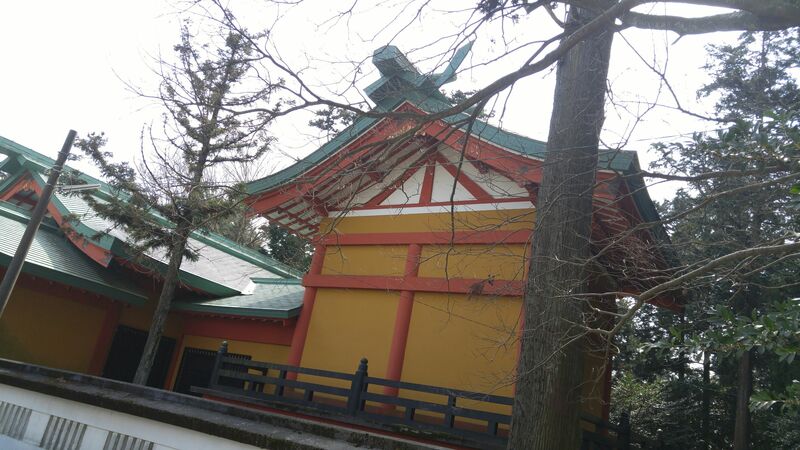 Niihashi Sengen Shrine (新橋神社) in Gotemba City! 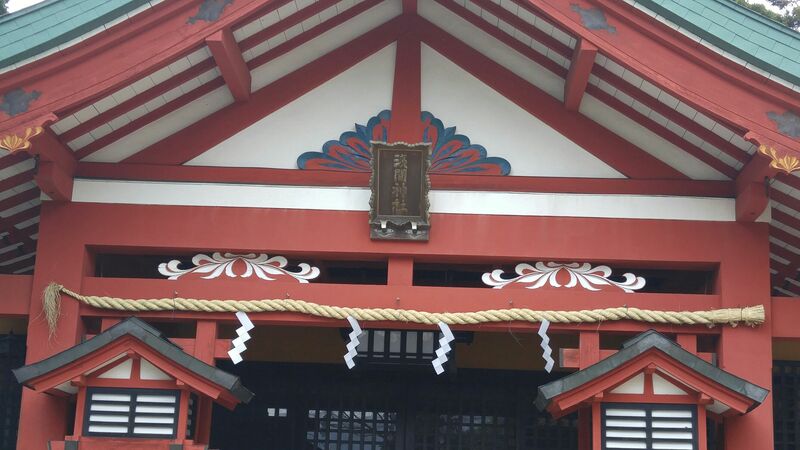 The other day I had the occasion to spend a day in Gotemba City and took the opportunity to visit its main Shinto Shrine, namely Niihashi Sengen Shrine/新橋浅間神社! 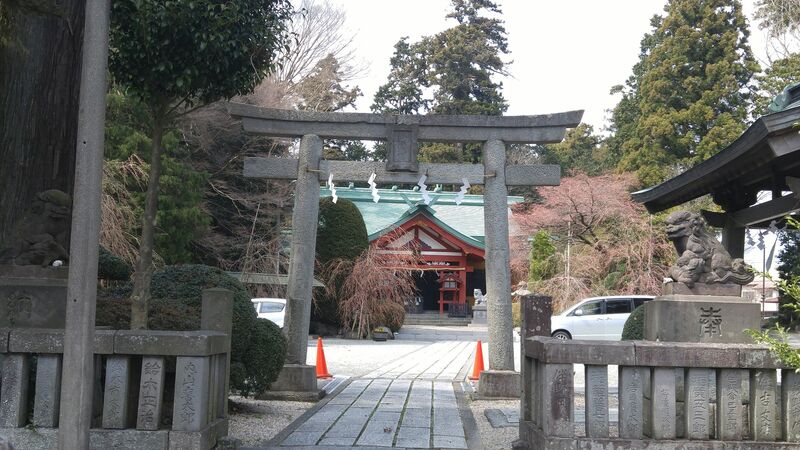 It is a big shrine indeed with the full regalia, including these ancient stone lanterns at the very entrance marked by the first torii gate! 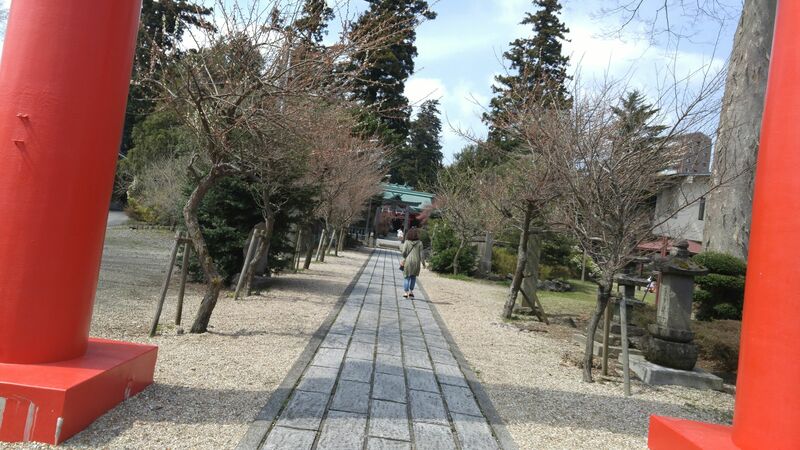 A long (by Shizuoka standards) stone-paved lane leads to the shrine! 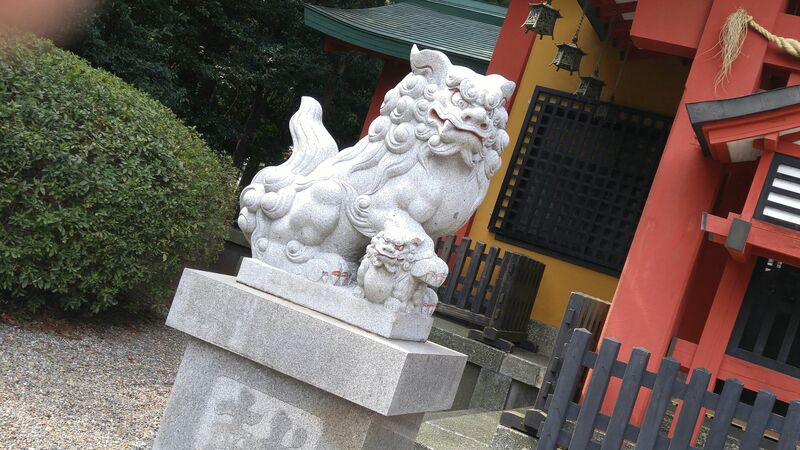 The first pair of komainu/lion guards is pretty ancient! 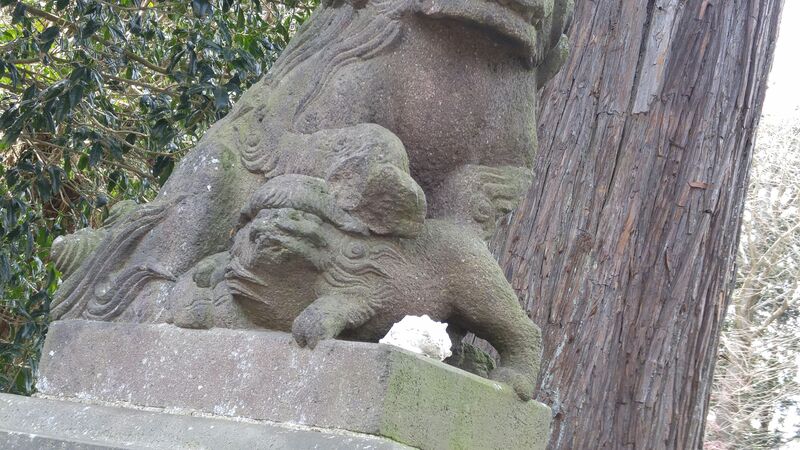 It has its forepaw settled atop a young lion, a bit unusual although I have found a few such in Shizuoka Prefecture! 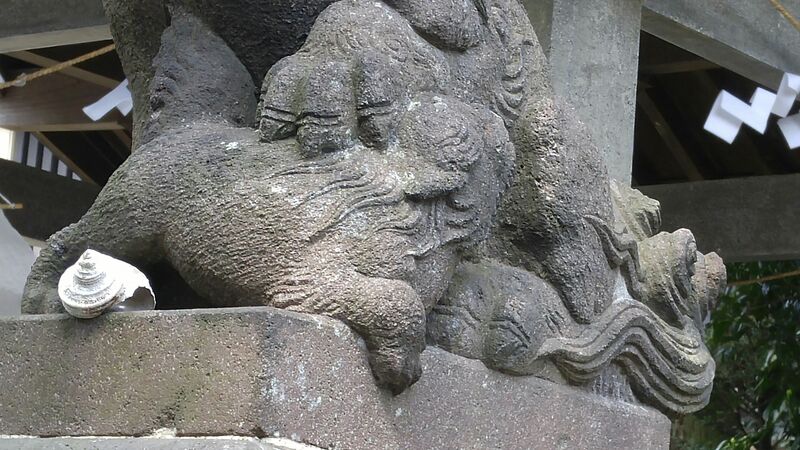 What is unusual is that his companion also has a paw rested atop a younger lion guard! I wonder why someone has put a shell on both pedestals? 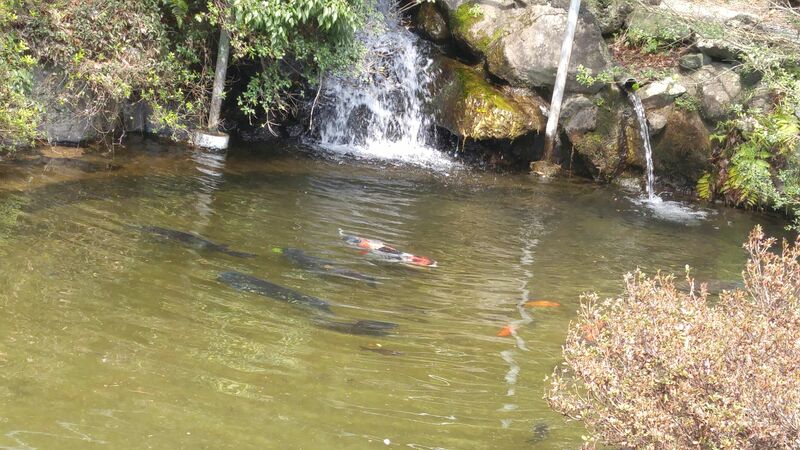 The place even has a small pond with sacred carps! The roofed hand washing stone basin! 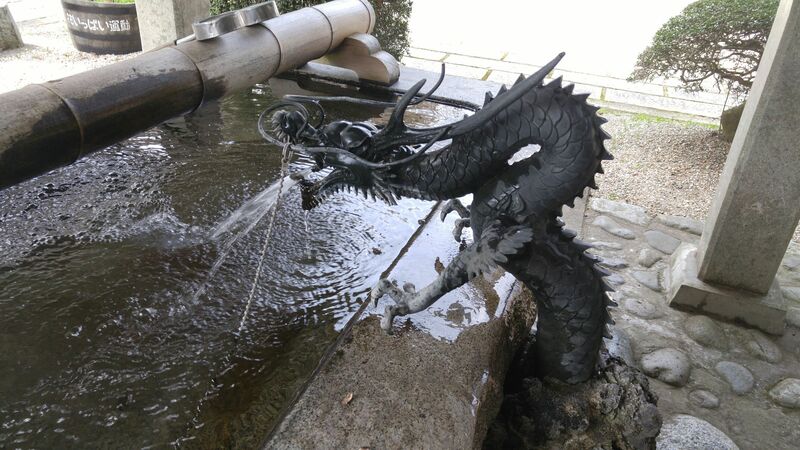 Complete with a dragon water spout! 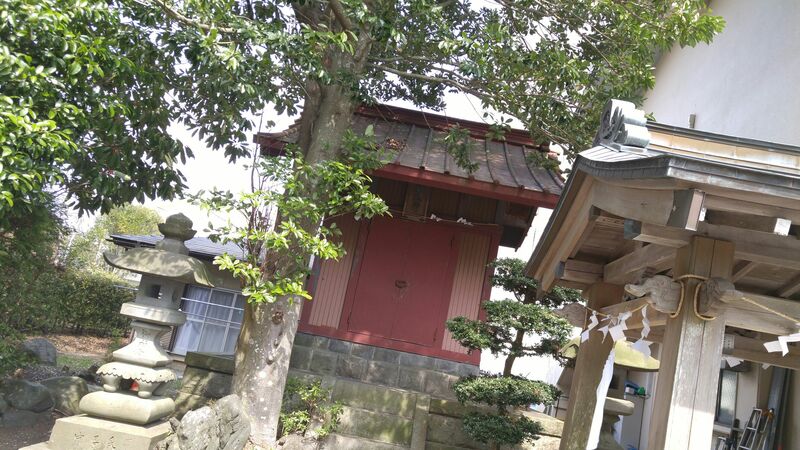 Another small shrine behind the stone basin! 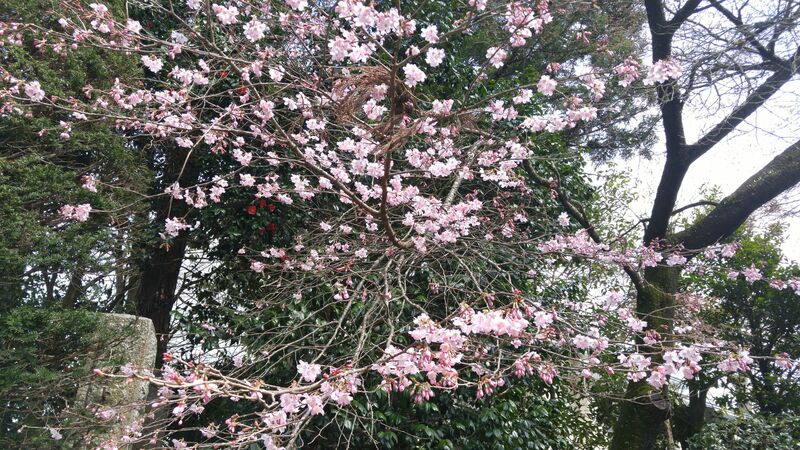 Quite a few cherry trees were stating blooming inside the shrine grounds! 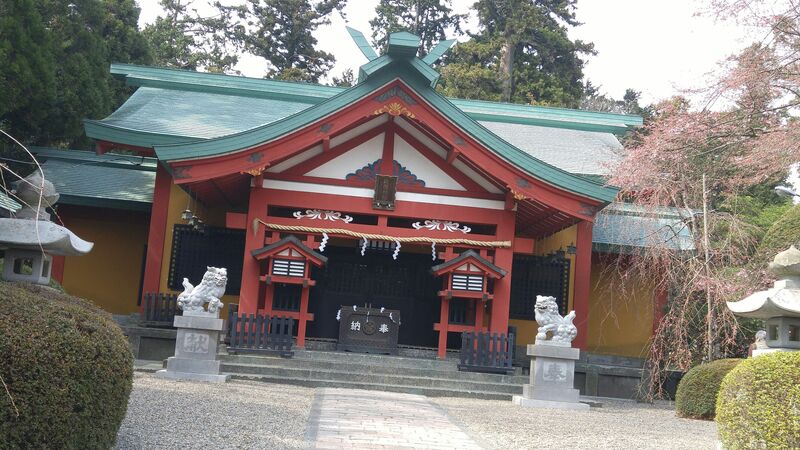 The haiden/shrine for the worshipers! 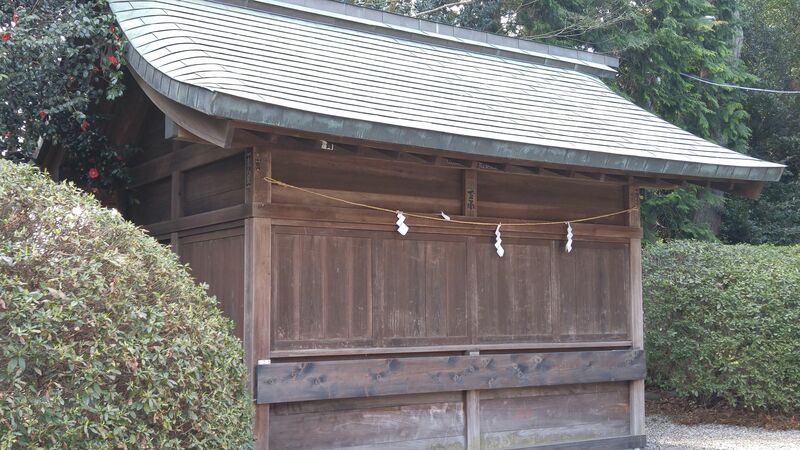 Usually this type of building is used either as a stage for the shrine festival or as a storeroom for portable shrines! With its forepaw atop a young lion guard! 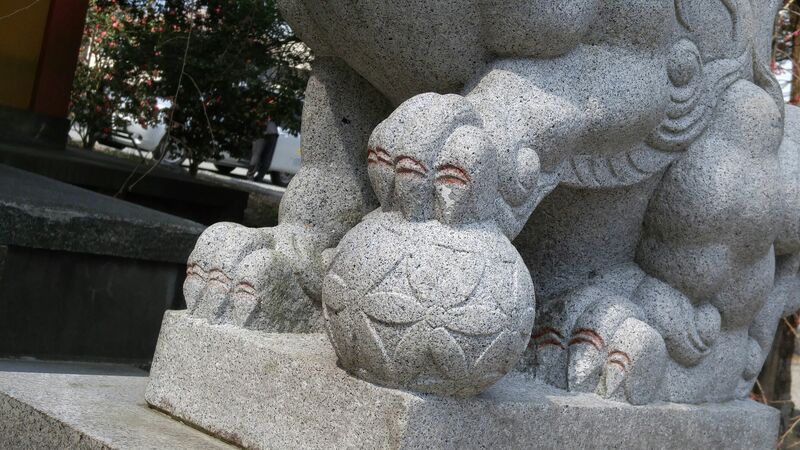 But with its paw resting upon a sphere! 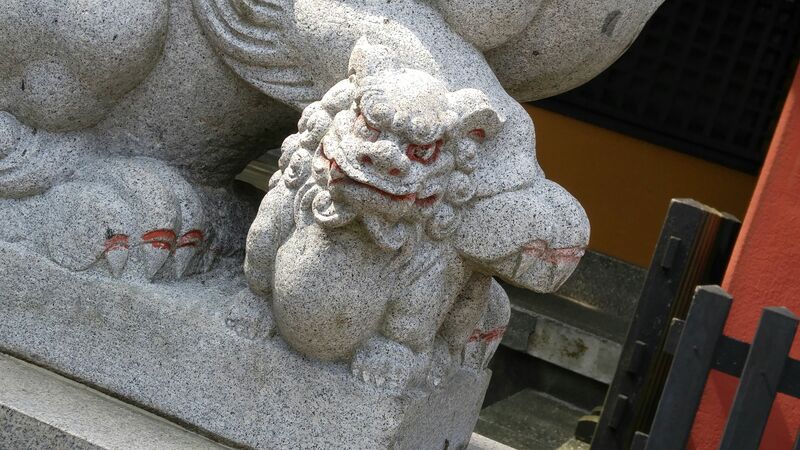 I’ve already noticed that same lion guards combination at an old shrine in Shizuoka City, but it a bit unusual! 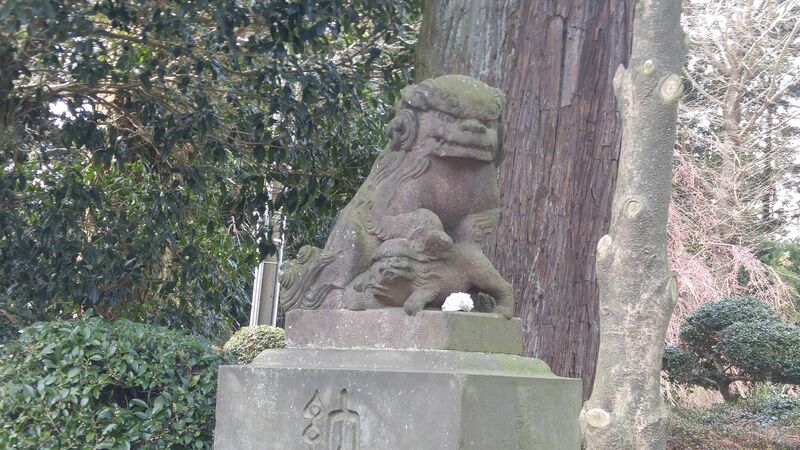 I actually found these two lions are very new! The design of their tails is certainly modern! 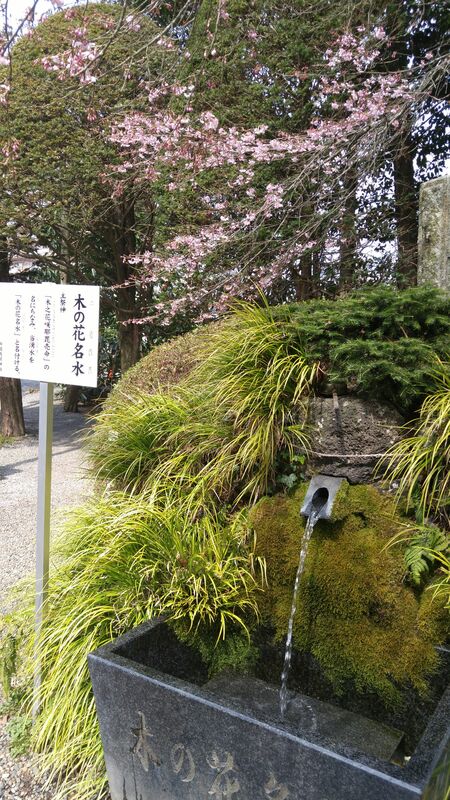 The water from this sacred source comes directly from nearby Mount Fuji! 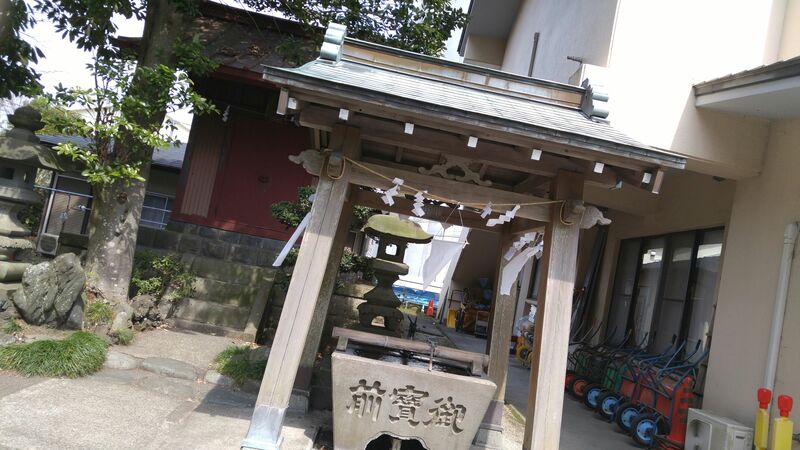 With its shimenawa/rice straw garland! 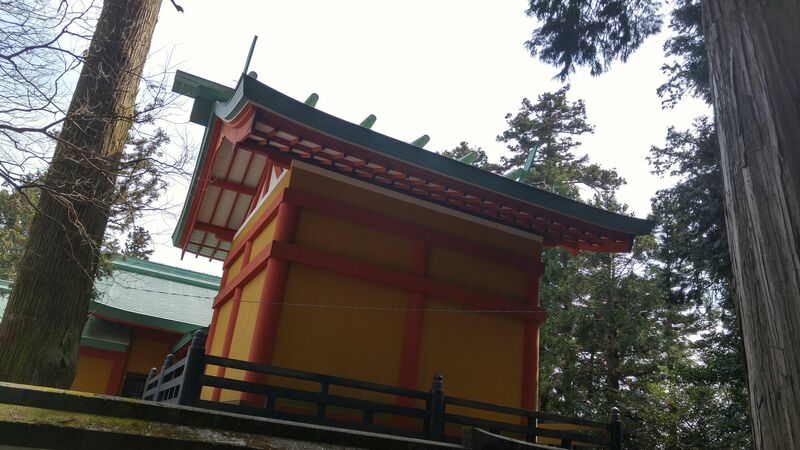 Moving to the haiden/deity abode behind the honden! 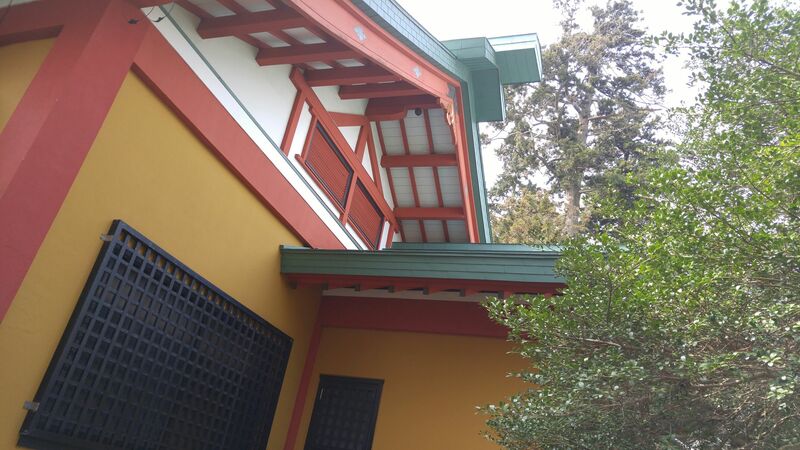 The haiden with its roofed corridor! Overlooked by ancient cedar trees! 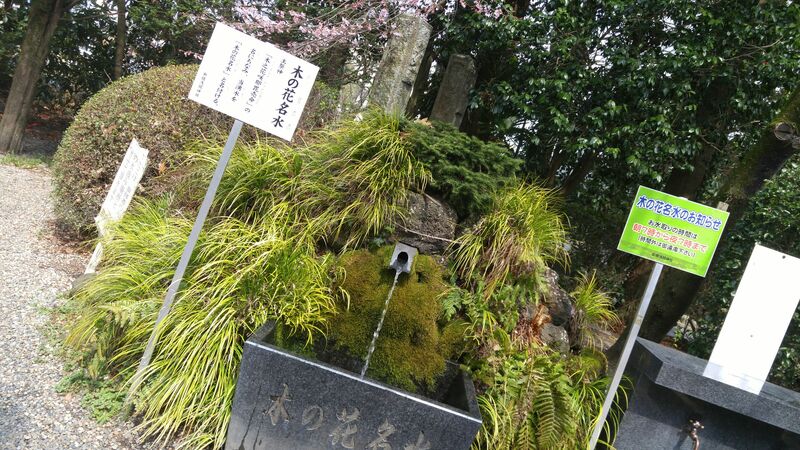 Made a point to taste the water f the sacred source before leaving! Beautiful water, actually! No wonder people gather to collect a lot of it! 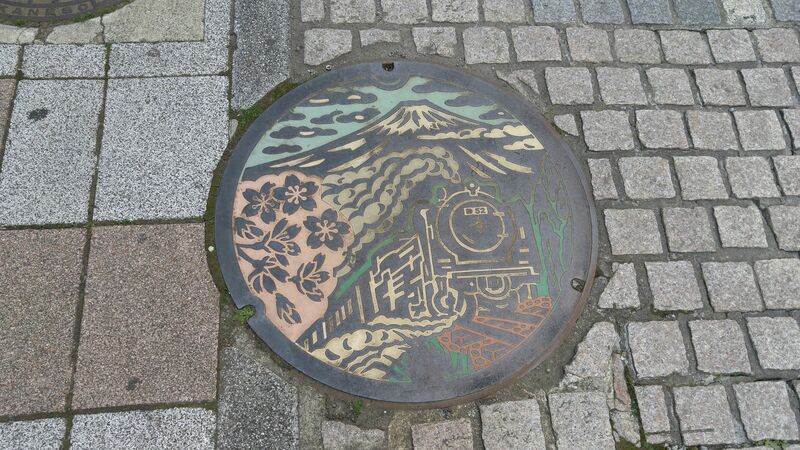 Manhole Covers in Shizuoka Prefecture 39): Gotemba City! 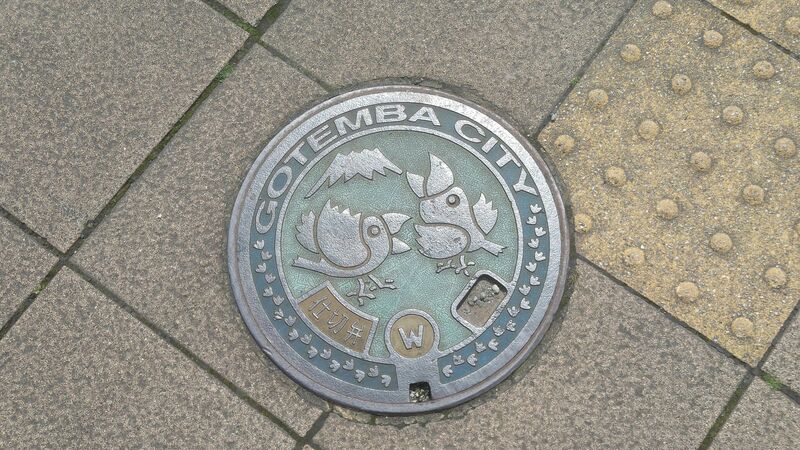 A fire hydrant manhole cover type found in the whole prefecture but with the emblem of Gotemba City! 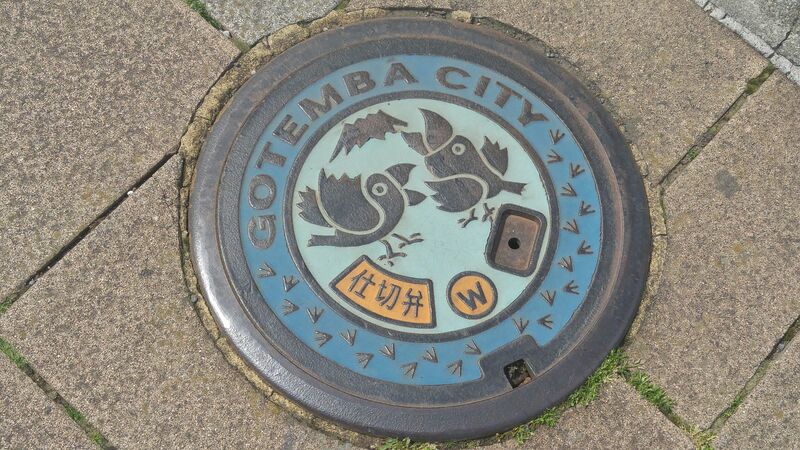 The other day I had the occasion to visit again again Gotemba City in the Eastern part of Shizuoka Prefecture for the first time in many years and could at last manage to check all the manhole covers in town. They are quite easy to discover as they all within walking distance for the station north exit! 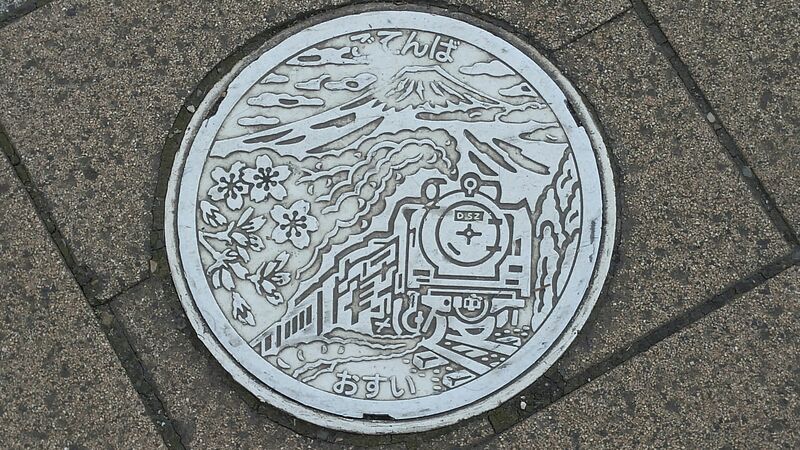 This the main manhole cover symbolizing Gotemba City and remiding visitors that once a D 52-type steam locomotive used to stop there! 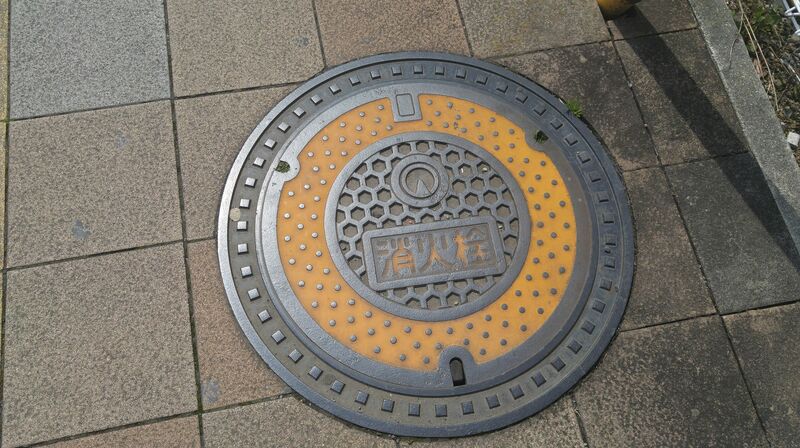 The same manhole cover in color (only a few of them!) 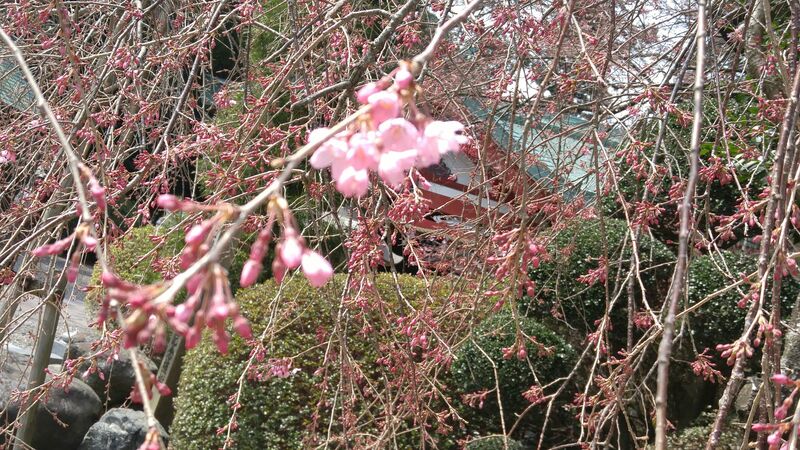 with Mount Fuji and cherry blossoms! This smaller valve cover is fairly new and comes into two different types! I wonder what the birds are? Small white covers with the original design can be found in many places! 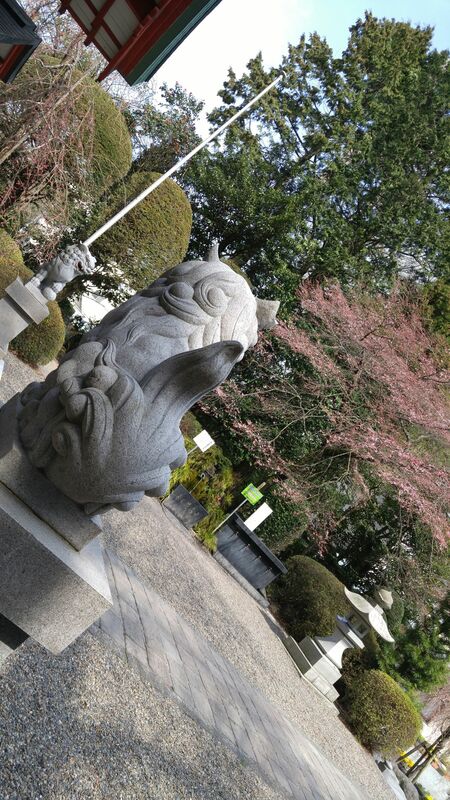 Otherwise many other types, both neutral and colored common to the whole Prefecture can be found along your steps! Mount Fuji, the Soul of Japan was not always as it looks now dominating every view In Kanagawa, Yamanashi and mainly Shizuoka Prefectures. Still an active volcano, it presently peaks at 3,776 meters, the highest mountain in Japan. Approximately 400,000 to 300,000 years ago, a first series of eruptions gave birth to Mount Komitake on its left (2,300 meters) and Mount Ashitaka (also called Echizen, 1,504 meters) on its right. Approximately 80,000 to 20,000 years ago a second series of eruptions formed the Old Mount Fuji until it reached a height of 2,700 meters. The present Mount Fuji (“New Fuji”) was formed after a new series of eruptions pushed the volcano up to its present altitude of 3,776 meters. 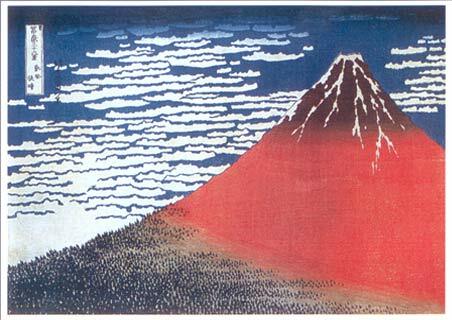 The last eruption occurred in the 18th Century, an event recorded on ancient woodblock prints. Volcanologists agree that an eruption, which could well happen in the near future, would have disastrous consequences with lava flows reaching far to the east and a thick blanket of ash covering the whole of Tokyo! One of the original Thirty-six (36) Views of Mount Fuji by Hokusai Katsushika is probably the most famous of innumerable woodblock prints on Mount Fuji. Needless to say that a picture collection would fill too many books! 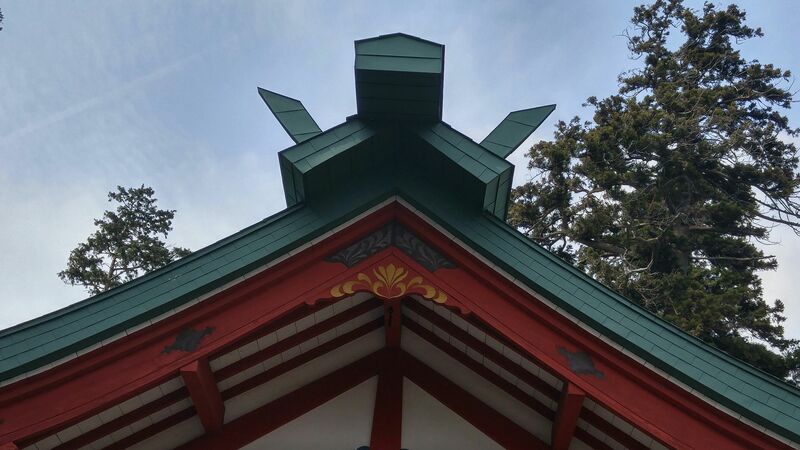 The Prefectures of Shizuoka and Yamanashi are presently pushing for the recognition of Mount Fuji as the fourth Japanese World Cultural Heritage Site. Mount Fuji has long been revered as a sacred mountain: in the early Heian Period (9th Century), a Sengen Shrine (another one stands in Shizuoka City), a Shinto Shrine associated to the goddess Kanohana-Sakuya-Hime (the name of a great shochu brewed by Fujinishiki Brewery-Distillery in Shibakawa-Cho at the foot of Mount Fuji! 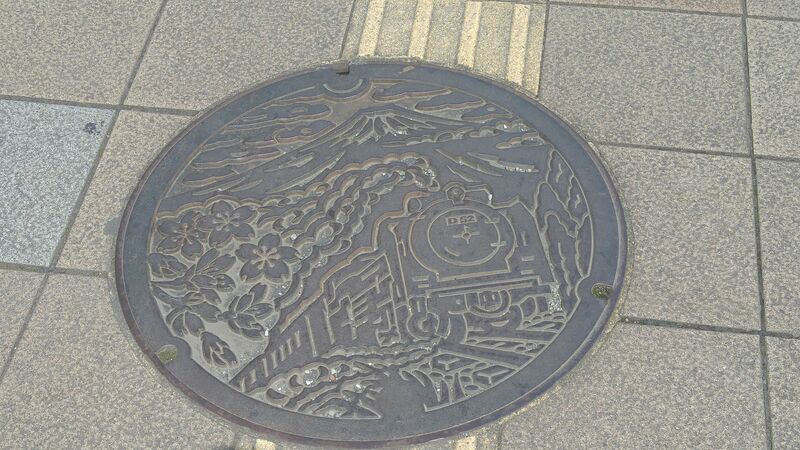 ), was built at Mount Fuji’s northern base in order to quell any eruptions. 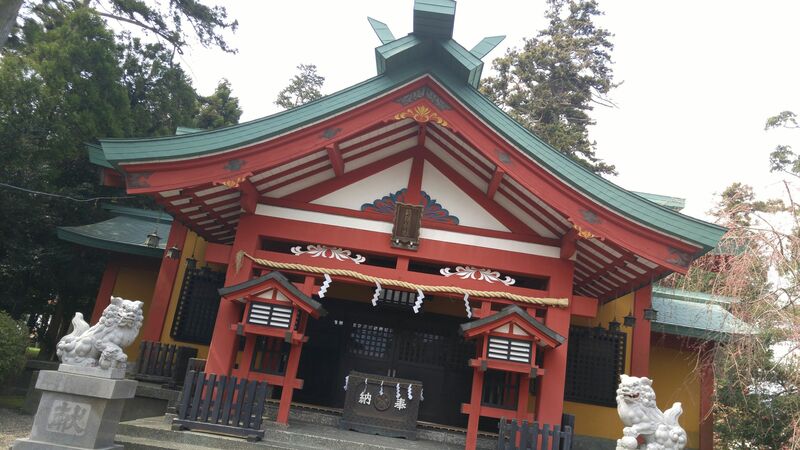 In the late Heian Period (11th Century), Mount Fuji became a center for the ascetic practices of the Shungen-do religion. 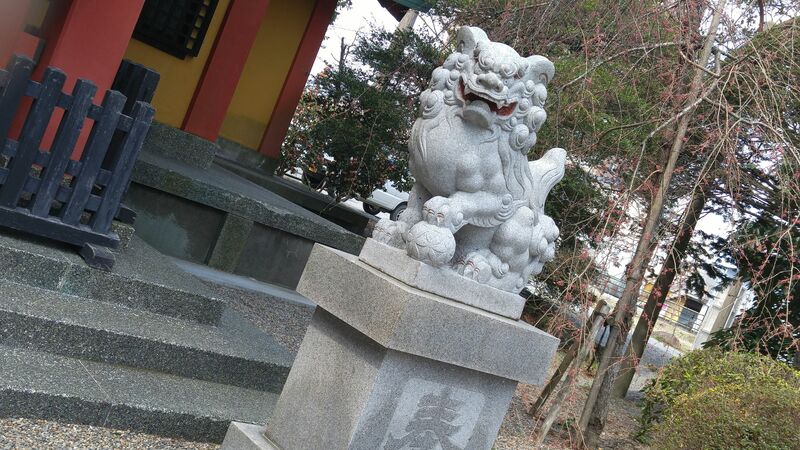 By the Muromachi Period both the Murayama Mountain Trail (later replaced by the Omiya Trail) and the Yoshida Trail were opened, making Mount Fuji widely known as a sacred mountain for the devout to climb. 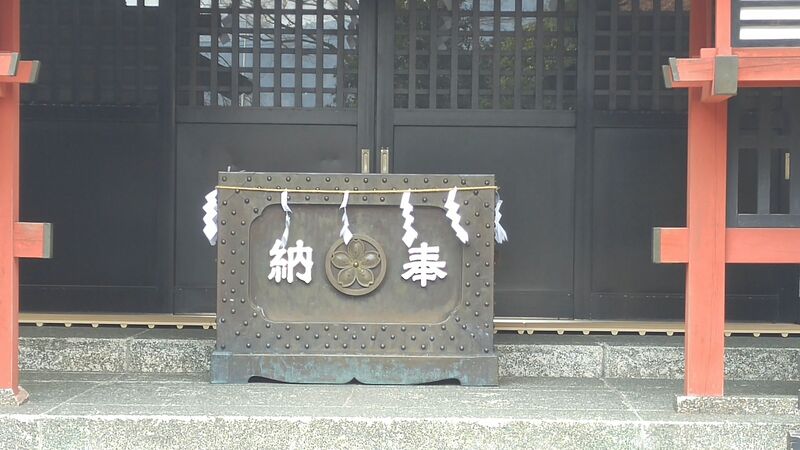 In the modern age, The Murayama (Omiya) Trail and other trails starting from the volcano’s southern base were frequented by even more pious climbers who were guided by the Shugen-do Practitioners. 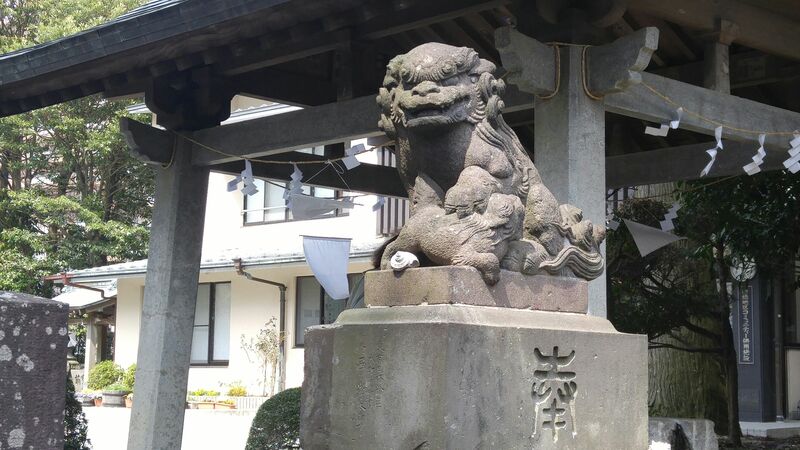 On the other hand, the Yoshida Trail and other trails starting from the northern bas became even more popular with followers of Fuji-ko, a sect of of Mt. 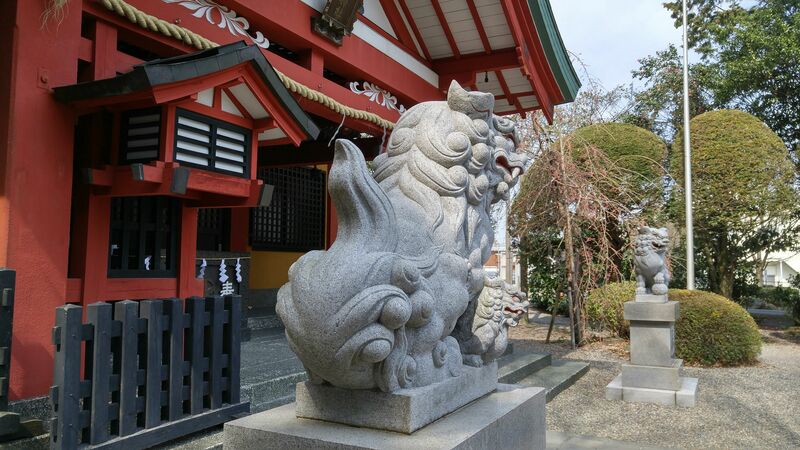 Fuji worship started by Kakugyo Hasegawa at the end of the Muromachi Period and dominant around the Edo capital during the mid-Edo Period. Today, Mt. Fuji is loved by young and old alike, with enormous crowds climbing the mountain every year. Being the tallest mountain in Japan, mount Fuji is home to a widely diverse distribution of plant life that changes as one goes higher in altitude, from its Warm Temperature Zone toits Alpine Zone. And despite the harsh natural conditions, many animals inhabit Mount Fuji. The abundant, high-quality subsurface water has been used in the daily lives and agriculture of the people who live at its base from old. 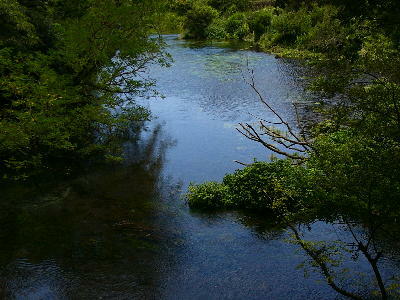 In recent years the water has also played a large role in the development of paper, chemical, electronic and other industries. Water from Mt. Fuji is also drunk as mineral water and contributes to thecreation to some of best Japanese sake, shochu and beer in Japan! 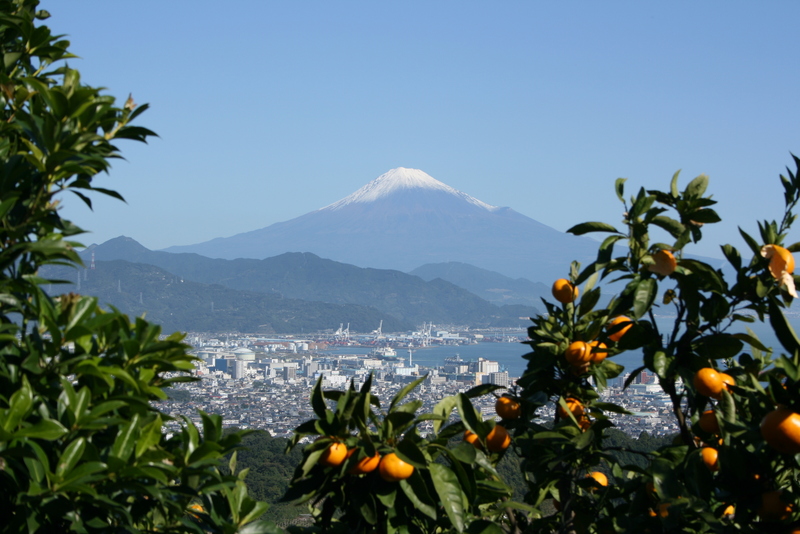 In 1998, the two Prefectures of Shizuoka and Yamanashi drafted the Mount Fuji Charter so that Mt. Fuji, symbol of Japan to the World and property of her citizens, could be protected for future generations. 1. To study, familiarize ourselves with, and respect the natural environment of Mt. Fuji. 2. To preserve the beauty of Mt. 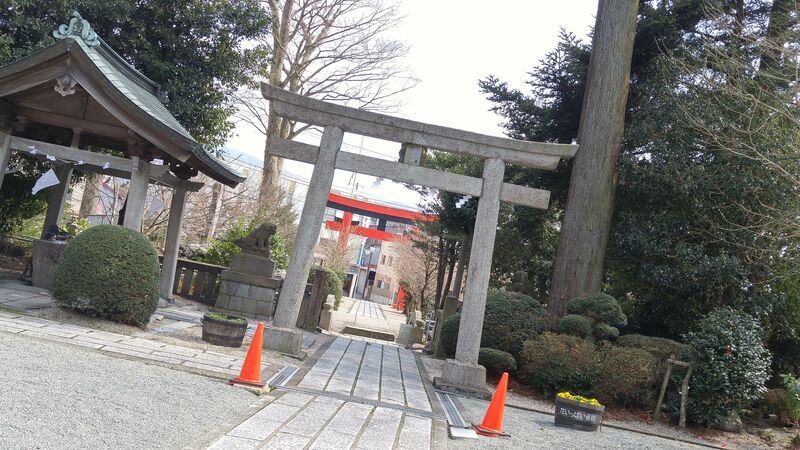 Fuji and develop its rich culture. 3. To ease the burden under which Mt. 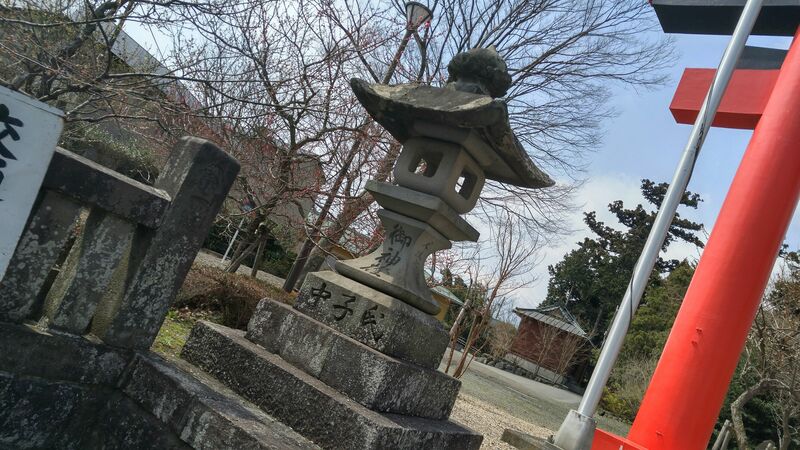 Fuji’s environment is now placed, and to establish a balance whereby the environment and mankind can live in harmony. 4. To pursue activities on an individual basis with the aim of preserving the environment. 5. To preserve Mt. 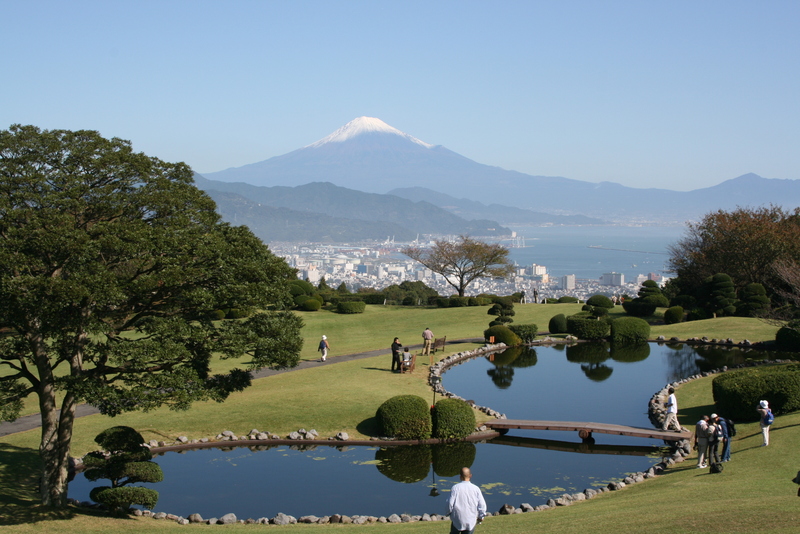 Fuji’s environment, landscape, history, and culture for future generations. 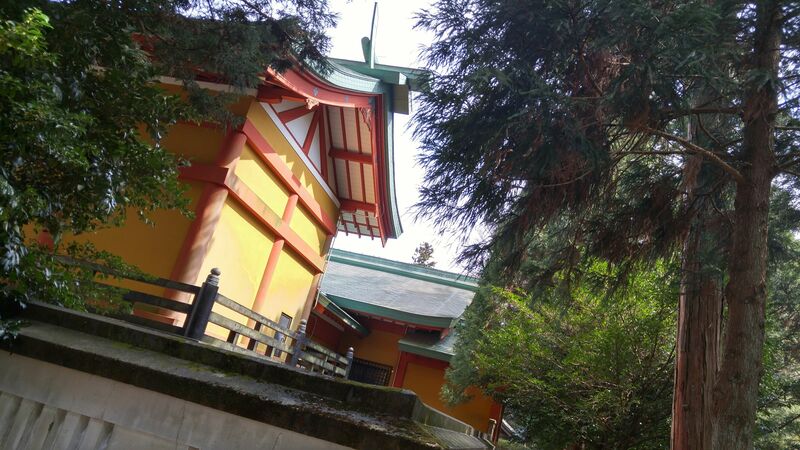 Keeping this in mind, you are warmly invited to bring your camera and enjoy the sights of the most beautiful mountain in Japan!